It must be the year for vintage buses and birthdays. 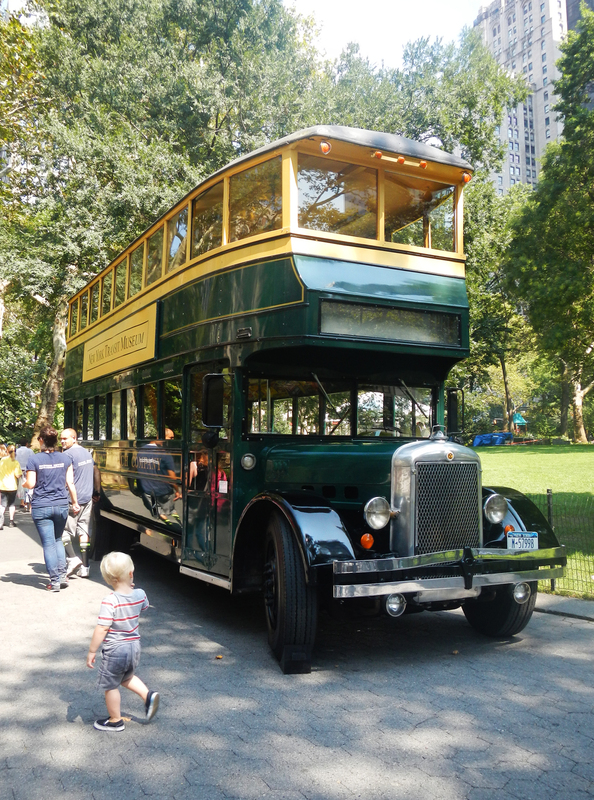 Outstanding in Madison Park on the weekend was a double decker bus posing for photographs and once again welcoming people to have a seat, if not a ride, after 60 years of retirement. The advertisements adorning the interior were as much a sign of the past as were the size of the seats and the staircase – digital age bottoms are clearly not a good fit for the past. But there were plenty of people to celebrate the 200 years of Madison Park in this now, again, very trendy part of NYC. 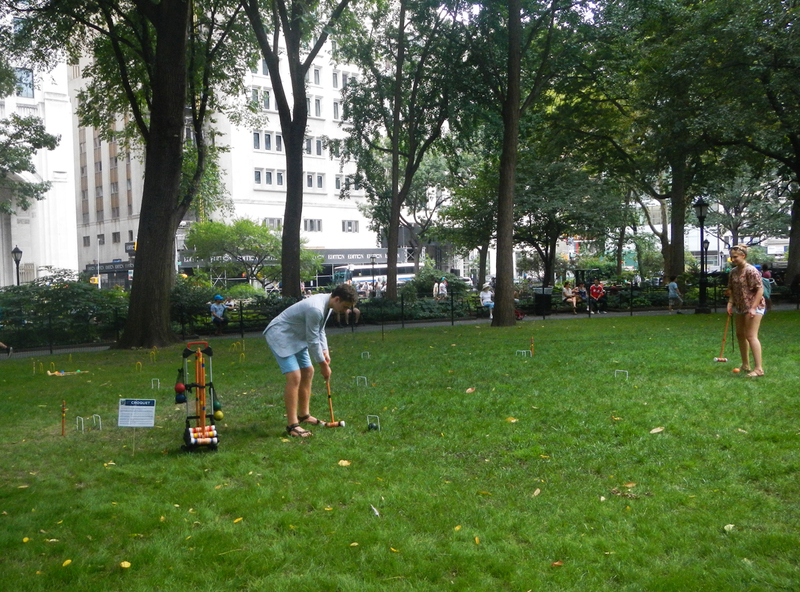 Just over the road from the Flatiron Building, across from Eataly & Marimekko on Fifth, around the corner from Maison Kayser on Broadway, and home to the perpetually queued Shake Shack, the Park was full of people playing croquet, wearing period costume and learning how to skip rope. 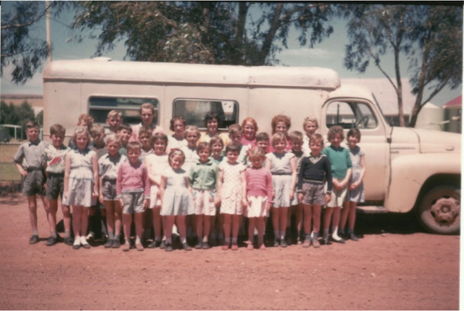 This entry was posted in events, Uncategorized and tagged Ungarra Primary School. Bookmark the permalink. That’s some bus! It would have had no trouble sloshing through the potholes on the Ungarra road!